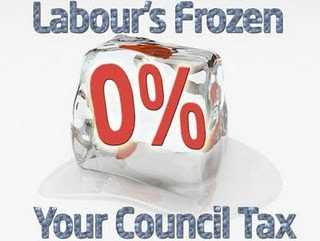 Labour councillors in Lambeth last night voted through budget proposals which will freeze council tax – for the second year running. The pledge comes along with plans to increase funding to frontline services. The announcement comes in stark contrast to the last administration, run by a coalition of Lib Dems and Tories, who increased council tax by 40% - putting up bills on average by around £1,000. The council release its budget for 2010 which will include more investment in services such as noise nuisance teams, community support officers and the council's antisocial behaviour team. The news comes thanks to the prudent financial management of the Labour administration, which has targeted town hall waste, and frozen councillor’s pay – generating savings of £3 million. Council leader Steve Reed said: "Labour has targeted waste to make the council more efficient. That approach has saved millions of pounds and now residents are seeing the benefit with the second year of a council tax freeze and investment in new services at the same time. “Labour's new investment includes lunch clubs for older people in all Lambeth’s town centres, extra investment in youth services, and action against crime with new measures targeting drug dealers, dangerous dogs and people responsible for antisocial behaviour." A figure of 40% is grossly unfair. I presume you have come to this conclusion based on the previous Labour Mayor's precept increases? Care to calculate the figure with this difference in mind? I agree - its grossly unfair on the residents who had to pay it when the lib dems also cut back on services and left the finances in a complete mess. But the figures add up alright, and everyone's bills split out the precept from the council charges. Don't have the figures to hand though, sorry.